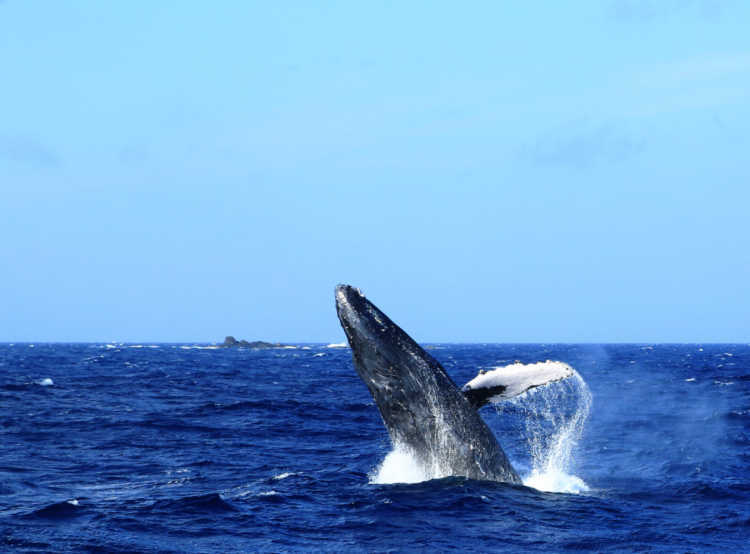 You could enjoy a dynamic whale watching on a tour boat leaving Chichi-jima Island. The best season is between February and April. The beginning of the swimming season in Ogasawara Islands is New Year's Day! 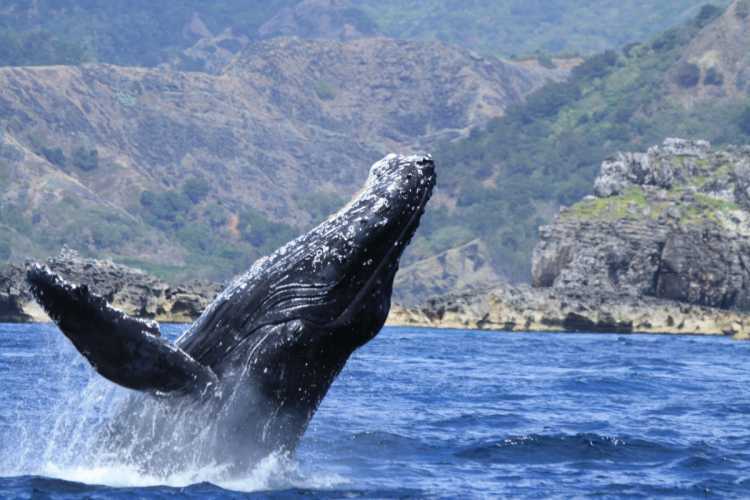 Tourists tend to visit the sea only in summer, but you can see the jumping Humpback Whale and other animals from December to May. And even scuba diving and dolphin swim are possible, if you prepare only wet suit!◎You can see the jumping Humpback Whale in only winter and spring! To see the ocean animals in these pics, you should take part in the tours of marine-sport shops or diving shops. The boat is small and well waved, so people who feel sick easily like me must take motion sickness pill. Scuba diving require the license, but 'trial diving' doesn't need, so you can enjoy it and learn how to use the devices.